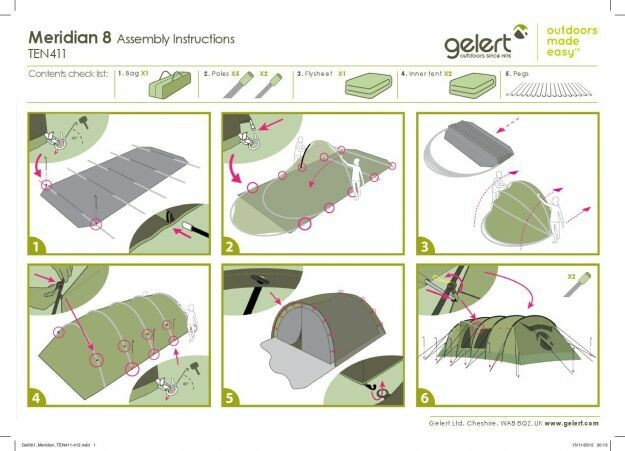 The Gelert Meridian 8 has built a reputation for being one of the best quality 8-berth vis-a-vis tents on the market. 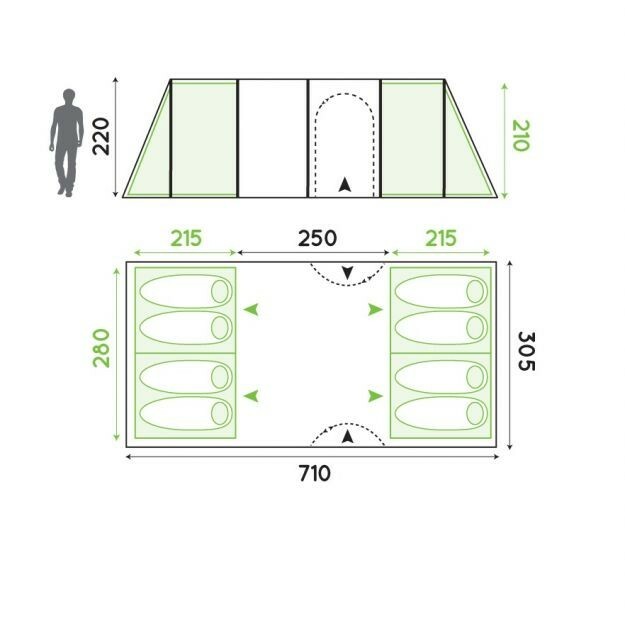 It is a fibreglass framed family tunnel tent that offers lots of space, comfort, plenty of features, quality materials and easy assembly but all at a sensible price. 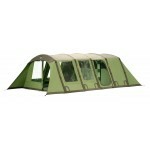 The two 4-berth bedrooms are arranged in a vis-a-vis arrangement at either end of the tent with the living space in between. 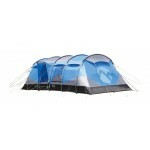 Each of these 4-man bedrooms is arranged in a 2+2 formation with a zipped divider for flexibility. 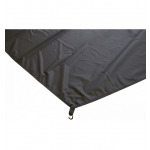 The living space is a very comfortable 250x250cm and features a fully sewn-in groundsheet for a sealed internal environment. There are two main entrances either side of the living space each with a useful rain canopy overhead that helps protect the doorways from the worst of the weather. There's also a large PVC windows either side to help let in plenty of daylight and each window features an internal privacy curtain plus a covered mesh vent overhead. 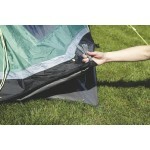 The Gelert Meridian 8 has an external 12.7mm fibreglass frame to allow for flysheet first or all-as-one pitching. 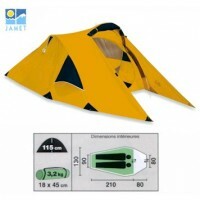 The quality materials of this tent include a fire retardant 190T polyester flysheet offering 5000mm hydrostatic head protection and colour co-ordinated bedroom inners and curtains. Gelert Meridian 8 Family Tunnel Tent.